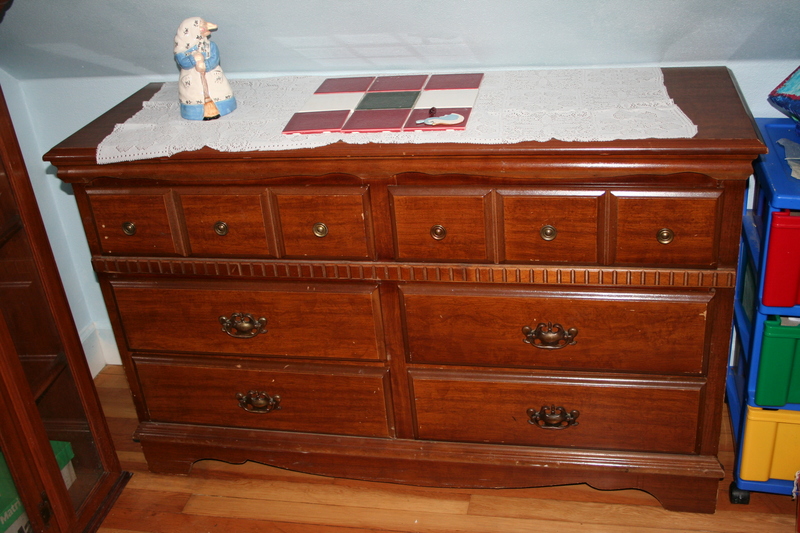 I’ve been in the market for a dresser (or two) to use for storage. I need something no taller than 31″ and I want 6 -8 drawers. I’ve found a few, but rejected them for one reason or another. Today I set out with that goal in mind (again). First stop: some Estate Sales that started yesterday and last stop: Goodwill. The Estate sales were well-picked over, but like all gleaners, I found enough at both of them to make me happy and I only spent $10.50. Most of what I bought was craft supplies. But back to the dresser: I found one at Goodwill today. I’ve already unpacked three boxes of fabric bits and pieces and filled five of the drawers. That was when I found the lace runner to put on top of it. The little tiles were picked up at one of the estate sales for a dime a piece. She was covered in grime and had been overlooked by every other person who walked through the estate sale, but she certainly caught my eye. I paid $1 for her. The woman who took my money commented that she had been looking at her. We both surmised she was a votive candle holder. She’s a Kitchen Witch, of course. According to Scandinavian folklore, having a Kitchen Witch in the kitchen keeps pots from boiling over, pot roasts from burning, and other mishaps from happening. They’re supposed to bring good luck. My interest in her was more artistic. She’s so stinking UGLY, but she has charm. And now that I’ve given her a bath and cleaned the grime off of her, she is much better looking than when I found her. I found this on the back: Lone Star © 80. I tried doing a Google search, but didn’t come up with anything viable. I found two Lone Star Pottery businesses, one that sells fine china and one that sells terra cotta style planters. A search for Kitchen Witches brought up similar images, but not an exact match and nothing marked Lone Star. The business could be out of production for all I know. 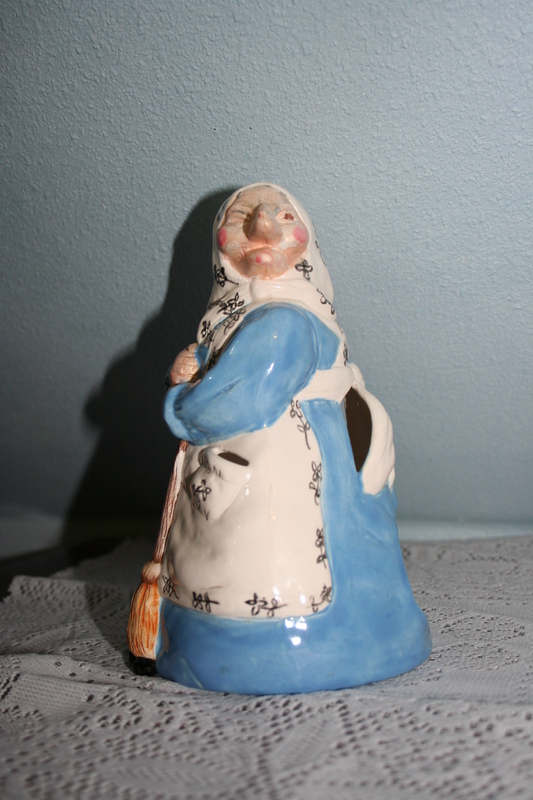 I don’t suppose it matters: I like my little Kitchen Witch, even if my husband rolled his eyes at me. Of course, I showed him the Kitchen Witch after I made him help me haul the dresser up here. And it was not an easy job: that dresser is heavy. Sometimes I think Don just doesn’t appreciate my yard & estate sale finds! COOL!! Nice dresser. 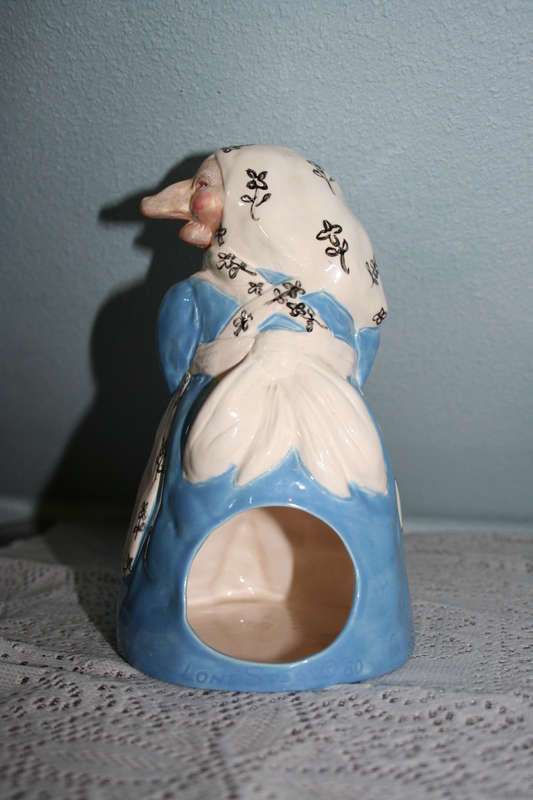 And if you didn’t know, your “kitchen witch” is patterned after “Baba Yaga” the Autumn Crone. She can either be Russian or Scandinavian, depending on the tale. 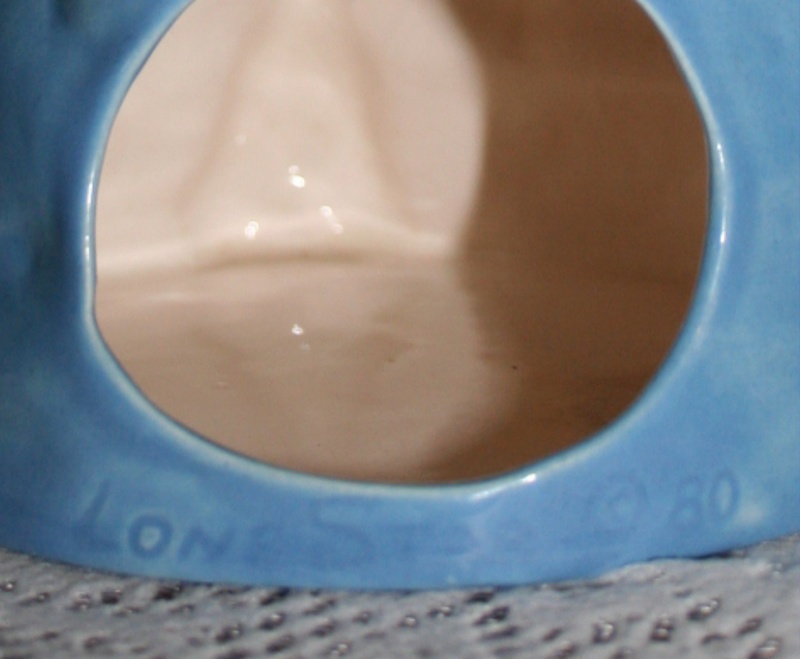 My best guess is that Lone-Star Ceramics made her, but you’re right…they are no longer in business. She’s worth a LOT more than the $1 you paid! Especially for the good luck! 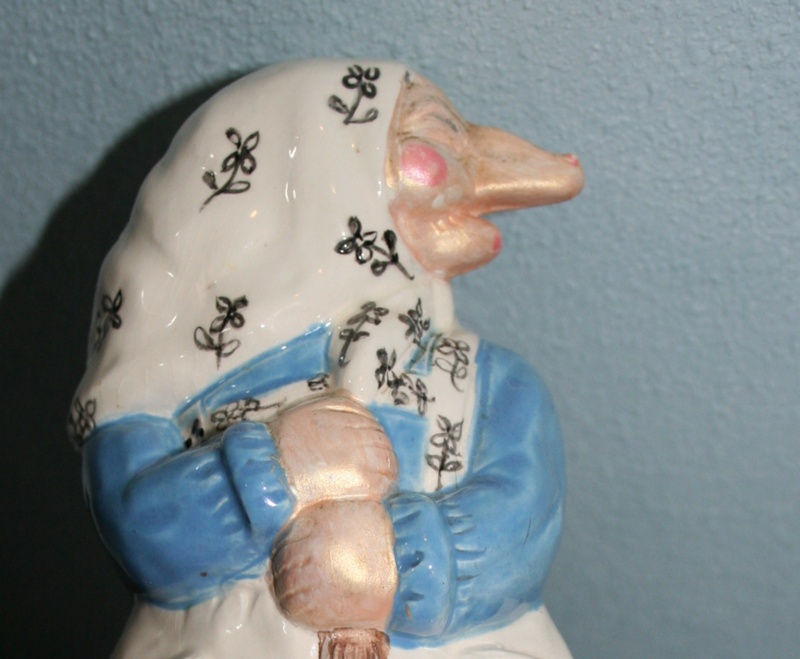 Yes, I know she’s modeled after Baba Yaga, but since I said Kitchen Witches were Scandinavian and I couldn’t find Baba Yaga in Scandinavian folklore, just Russian… I just left that out. You can fit your fabric in a dresser. . .ROFLMAO! If only I could fit mine into a dresser! And like Don, Jerry never appreciates the finds I bring home. So I totally feel your pain. Having to justify why you buy something for $10.50 instead $200 is such a pain in the as$. BTW I like the witch. I found your site from a Google search result. 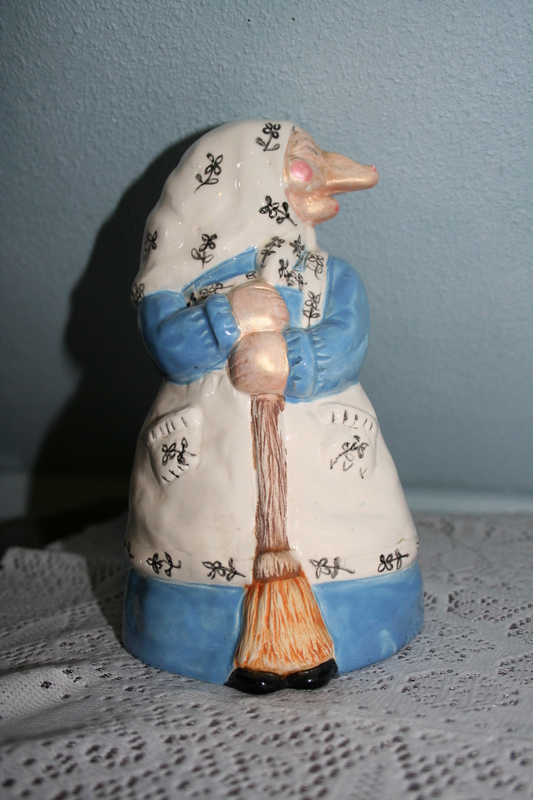 I purchased this exact kitchen witch at Goodwill, although it is painted differently and signed with the year 1983 on the bottom. I thought it was a votive holder, but realized there are no holes for the light. I have no idea what to do with this so-ugly-it’s-charming thing!